Among marketing insiders, the process that your customers follow to make a purchase decision is known as the buyer’s journey. The journey will be different depending on your product or service, whether you’re selling research services or lab equipment for example. But suffice it to say that the more you understand about the path your customer’s buying process will take — and the better you can influence it — the greater the likelihood of a successful sales outcome. Before we can understand the buyer’s journey, however, we have to understand the buyer’s persona. This is a detailed profile of your typical customer that goes well beyond just knowing their industry, department and job title. It also discovers their pain points, the challenges they are encountering, their role in a buying decision and how they gather information for a purchase decision as well as other pertinent data. Knowing this depth of information about customers enables you to customize content to address their specific needs, behaviors and concerns. Influencing the buyer’s journey based on the buyer’s persona is additionally complicated because companies have multiple audiences for each product or service and their role in decision making. For example, a lab scientist may be the user while the purchasing group is the buyer. Getting the right message to each audience while still supporting the central brand is vital to marketing success. Marketing is not something that happens overnight and no single tactic, no matter how brilliant or well executed, is going to do that effectively. Hence, our approach is one of an integrated marketing strategy after seeing successful results within the health sciences industry. Once buyers recognize a need, the common wisdom is that they then begin their research and complete about 70 percent of their journey before they ever make personal contact with your company. So how do you influence the 70 percent of the journey you’re missing out on? The best approach is an integrated marketing communications strategy designed to broadly raise awareness and explain your basic offering to all the relevant audiences. The more you understand about the path your customer’s buying process will take, the greater the likelihood of success. Depending on the specific marketing situation — or situations — you are facing, you’ll want to begin with a strategy informed by the buyer’s journey and persona and comprising an overarching communications platform for each segment. In this way, regardless of how an individual may encounter your message — at a trade show, from a press release, in social media or through dozens of other tactics — the core message and presentation are consistent. This consistency contributes to memorability, brand awareness, brand perception and ultimately to brand efficiency. At SCORR, we develop a Strategic Marketing Action Plan or Strat MAP that defines the marketing strategies needed to reach the business goals and that includes the type of content needing to be developed, e.g., white papers and industry reports germane to your customer’s sales process. The Strat MAP also lists the PR, social media, advertising and other tactics that you will use to attract prospects to your website and capture leads via a form completion. It’s important to stay away from a heavy sales pitch in these materials because customers are establishing your company as a credible source of information at this point. Once you have captured basic information on a prospect, you can begin to nurture the lead toward the sale using customer relationship management and/or marketing automation tools. As potential customers revisit your website during the buying process, you can track their engagement with the mix of content pieces and ultimately their lead conversion. There are a few things you can do at each stage of the inbound marketing process to move a prospect toward a successful sale. Awareness: Your goal at this stage is to raise interest in an unknown group of strangers. Attract new visitors to your website with content that address their specific problems and interests. Consideration: Seek to inform your prospective customers at this point. Provide the leads in your CRM database with credible, objective content on pertinent topics. Decision: It is important to begin to persuade your leads to take an action. As your knowledge of your prospects grows, introduce materials that explain your unique benefits relative to your competition. Promote: Engaging your customers at this stage ensures they become loyal brand ambassadors instead of remaining on a trial project basis. Once you’ve completed the sale, it is important to periodically check in with your customers to keep them informed and gather feedback. Remember, the inbound process does not stop once you convert leads. Engendering loyalty and customer satisfaction can be a powerful referral, so continuing to engage your customers is an important step to attracting newcomers to your business and renewing the inbound process. Defining the buyer’s persona, influencing the buyer’s journey and executing an inbound content marketing strategy can be a complex enterprise. One of the many benefits is that it enables us to track key performance metrics for each content asset and demonstrate the ROI to your investors and executive board. Particularly in the drug development industry with highly competitive markets, the more targeted the content the better the chance of getting customers to take the journey with you. 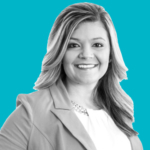 Ashlee has more than 10 years of experience in the health science industry. With an interest in content marketing and the customer journey, she specializes in creating technical and creative messages that both strategically communicate with the target audience and move the needle for clients. At SCORR, Ashlee oversees our team of scientific, technical and creative writers and ensures all messaging is on point to deliver the desired results.